How MAMAMOO SOLAR Copes With Her Fear of Bugs?? A few days ago, on March 20th, Mamamoo made their second appearance on the KBS2 TV show, Problem Child in House. As a sort of different trivia quiz show, the four members competed with the other people on the show to answer different sorts of questions. During this episode, Mamamoo revealed that they had once lived on the rooftop room on a house together for around two to three years. One of the other people on the show commented that rooftop rooms are always scorching hot in the summer and frigidly cold in the winter, with lots of cockroaches. When Solar heard this, she bursted forth in agreement. Subtitles: We even hit and fought. Hwasa admitted, "Solar has even showered with the lights off." Solar said simply not seeing the cockroaches would be better, so she would take out her contact lens and bump around in the bathroom to find her shampoo and conditioner as she would take a shower. If you have to take a shower with bugs, best at least not to see them! A fact many people who have lived in Korea's rooftop rooms can attest to! 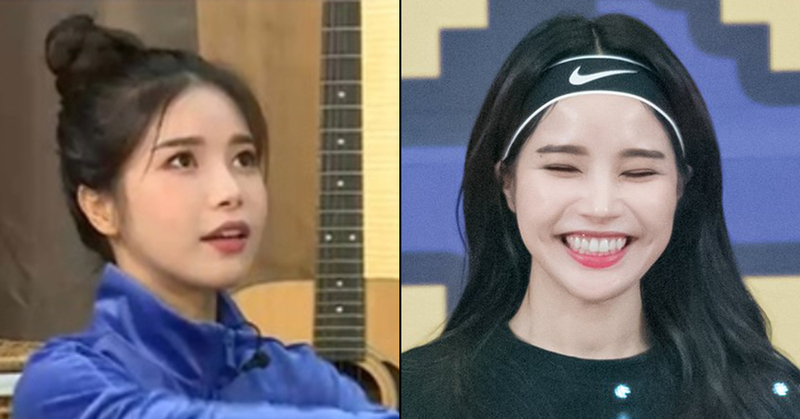 Show attendees laughed at the cute anecdote of Solar as they imagine her getting over her fear of cockroaches. Fans loved getting to see this different, more casual side of the Mamamoo girls.